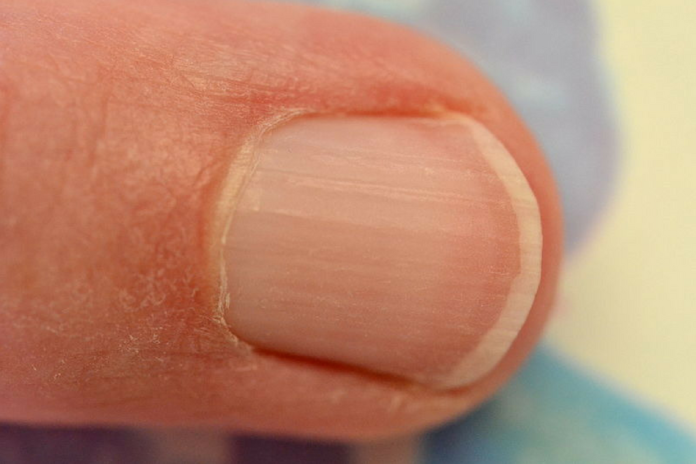 Splitting, thin, brittle and/or breaking nails aka Onychoschizia occurs frequently in women. There is a common misconception that it’s caused by vitamin deficiencies. In some cases, iron deficiency anaemia & gluten intolerance does lead to brittle nails. 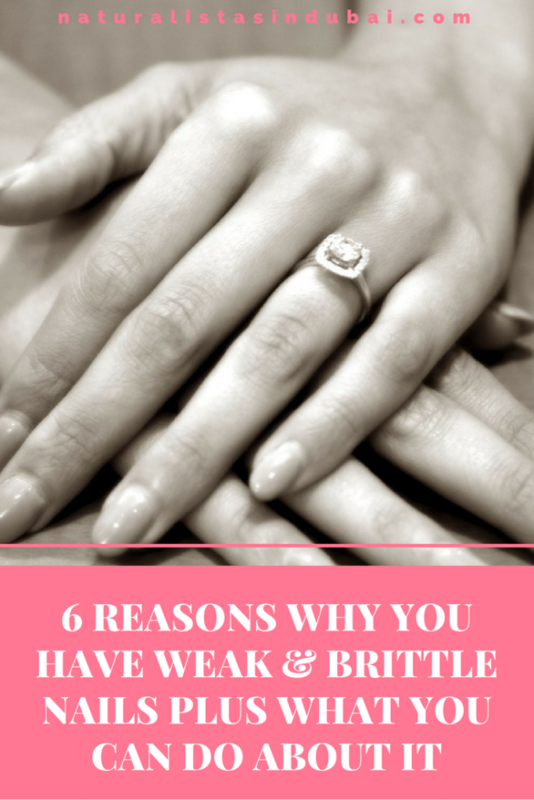 However, there are a few other things that cause brittle, breaking nails in women. What Causes Brittle Nails/Split Nails? Dipping bare hands in materials full of harsh chemicals like detergents, cleaning fluids. Nail removal solutions, which contain acetone, can be harsh on the nails. Overuse of commercial nail polishes. A fresh coat of paint looks gorgeous but try to give your nails a few days/weeks break in-between manicures and pedicures. Leaving nail polishes on for too long also leads to brittle nails. Always remove polish within 5 – 7 days of application. When you’re involved in activities that keep your hands and fingers wet or moist constantly such as frequent swimming. A diet deficient in adequate protein. The nails are made up of a protein known as keratin. If you’re not getting enough protein in your diet, you will experience brittle, breaking nails in addition to hair loss. If you’re dehydrated constantly, you will eventually start experiencing brittle, breaking nails. While the recommended daily water intake is at least 8 glasses of water, you should aim to drink much more than that. If you wait until you’re thirsty to drink water, you’re already dehydrated. 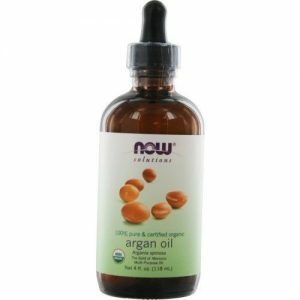 Mix ¼ cup of sweet almond oil and/or argan oil with 2 teaspoons of vitamin E oil in a clear 4 oz bottle. 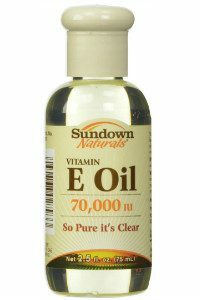 You can extract vitamin E oil directly from the capsules as well. Every time your hands get wet, use the moisturizer afterwards. You can also use the oil mix every morning and evening, taking a few minutes to massage it into each nail thoroughly. Wear gloves whenever you are involved in household tasks like dishwashing, general cleaning and laundry by hand. When your nail snags, file it ASAP. If you leave it for too long, it will contribute to the problem. Whenever you wash your hands after using the washroom, always apply the vitamin E oil mix. Feel free to include a daily supplement rich in nail strengthening ingredients like biotin, saw palmetto, horsetail extract and silica. However, always consult your physician before you start taking any supplements internally. Consider including bamboo leaf tea in your diet. Bamboo leaf tea is rich in bone building silica and 2 – 3 cups a day will go a long way in strengthening your hair and nails. Use nail polish removers that are soy based and acetone free. Before applying nail polish, massage the vitamin E oil mix into your nails thoroughly. It will form a protective base from the chemicals in the nail polish. It will take around 6 months for the problem to rectify itself but with consistent use, you should start to notice the difference by the 3-month mark. 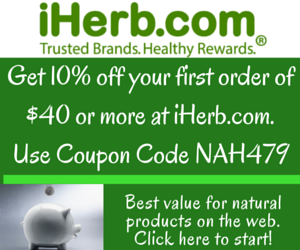 Get 10% off your first order. If your order is above $40, you also get cheap shipping to Dubai for only $8 no matter the weight of your shipment. Do you have any other DIY tips for dealing with brittle and breaking nails? Share them in the comments section.